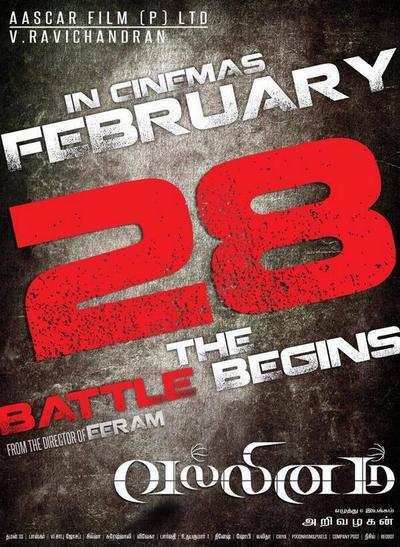 Nakul starrer Vallinam directed by Arivazhagan of Eeram fame is all set to hit the screen finally on February 28. The story of the film, revolves around the life of a basketball player, played by Nakul. Mrudula Baskar plays the female lead in the film. Produced by Aascar Ravichandran, the film has been censored with a clean 'U' certificate and Thaman has scored the music for the film. Vallinam is a film based on sports which revolves around Basketball and Nakul plays the role of a basketball player. Tollywood actor Siddharth Jonnalagadda, the villain of the film is a cricket player while Atul Kulkarni plays the character of a Basketball coach.